In transaction entries, QuickBooks for hotels and Restaurants are almost the same but a hotel business covers additional item like income from room bookings which restaurant business does not. Restaurant and hotel managers need accurate and up-to-date financial data so that they can better serve customers and improve the business profitability. QuickBooks makes it easy to accurately track income from sales of Food and Beverages, Bar Sales, Catering Services and expenses of the business so that you always know where the business stands. 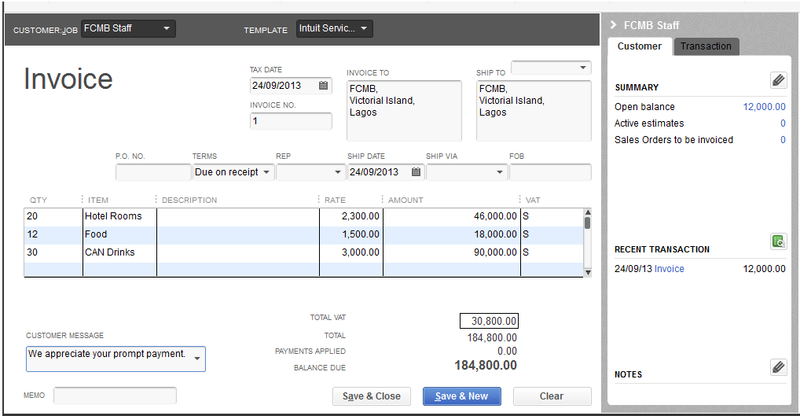 QuickBooks does all the calculations for you, such as totaling expenses and revenue, and calculating income. 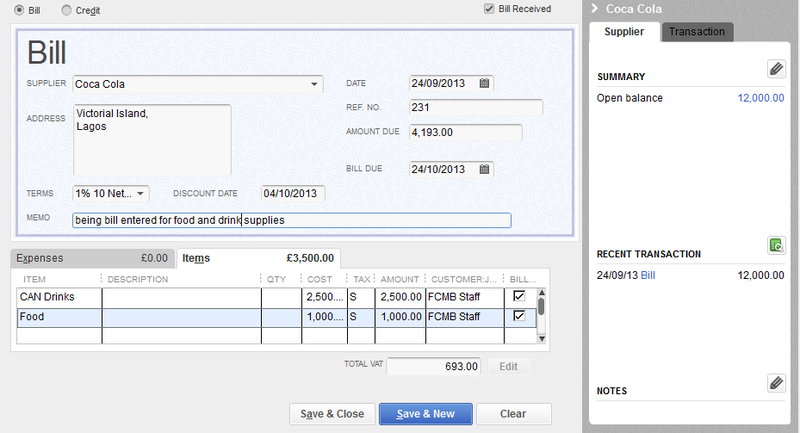 Below is a snapshot of an invoice created in QuickBooks for a restaurant business. You can also track payment for Food Purchase, Beverage Purchase, Merchant Account Fees Via Credit Cards Payments and Restaurant Supplies. Below is a bill entered for item supplies. In a few clicks you can create customized reports, track gift certificates sold and redeemed, forecast sales and expenses, and much more. QuickBooks makes restaurant accounting easy. 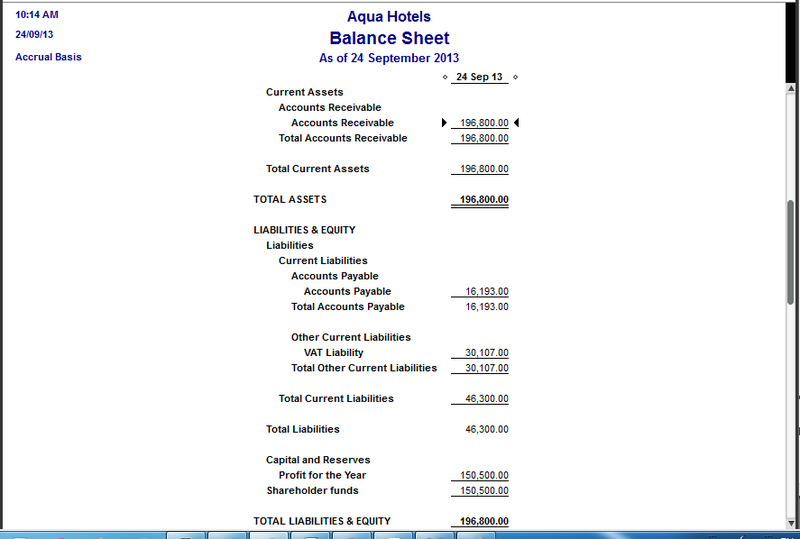 Below is a Profit and Loss account sample. 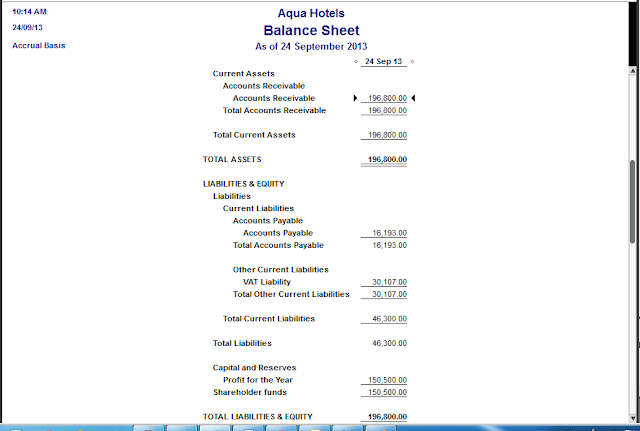 You can find more transaction entries tutorial for QuickBooks for hotels and restaurants business on this blog.